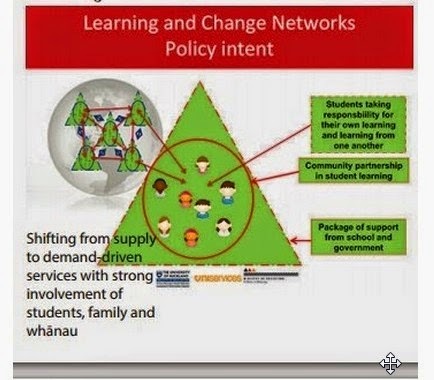 Whitestone Learning and Change Network: How does a Learning and Change Network work? Will our ripples make a difference? 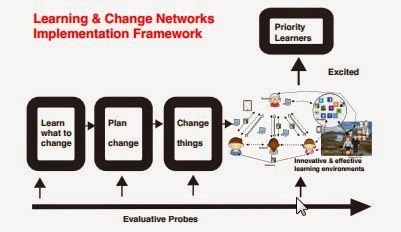 How does a Learning and Change Network work? Will our ripples make a difference? A very large group of participants came together for the inaugural 'Big'event No 1(see agenda and slideshow). Most of the LCN work so far has gathered momentum through the leaders who have been part of the local and regional meetings over the past 18 months. During this time, our collective determination to make a positive difference for all learners across our network has driven our desire for collaboration. 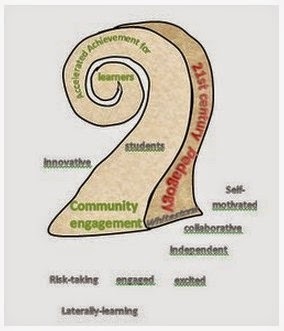 We understand that we can still retain our unique school cultures but grow our learning and change capability through active contribution and participation as part of a wider group. Where does the Whitestone LCN fit in? How does it differ from traditional PD cluster models? The LCN strategy is not traditional PD that is 'done to us'. Just as we recognise that the traditional teaching model has to be flipped to engage the learners, the LCN strategy flips the traditional PD model. We move from a passive absorption of communal knowledge model to an active self-driven personalised model. The latter being what we aspire to for all learners (young and old). What is an evaluative probe and why do I need to be 'probed'? The evaluative probes help to keep us focused on where we are at, how we are going and where we need to head next. The trained probe leaders meet with students, staff, family/whanau and other leaders to ask questions that will stimulate reflective interactions. You don't need to worry about taking part. It is not designed to assess you or your teaching personally but your response will be collated with others and contribute to helping keep the network on track. Evaluation #Whitestone Big Event No 1 with extra column to add suggestions for Big event No2 planned for Tuesday 9th September. Here's your chance to contribute. Learn more about how LCN's work by going to the official site and watching a 5 minute video.